Yesterday I left a comment on Dominic Cummings' blog regarding Business for Britain and Matthew Elliott. After sitting in the pending queue for a number of hours, the comment was deleted by Mr Cummings without any reply to the points I raised. At the time I was surprised and thought this was a bit precious, particularly as the word among some of the campaign groups who have had dealings with BfB was that Cummings was only helping to set up the Campaign to Leave and was then going to step away. I didn't think there was any close attachment. I heard from several people some months ago that Cummings had said he didn't want to have anything to do with the BfB because he didn't want to work with people (I paraphrase here) who were being idiotic. Clearly time is a great healer because the Financial Times reported yesterday that the new Elliott campaign would feature Cummings as its campaign director. It's hard to keep up with the thinking of a man who changes his stated position more frequently than his underwear, and if I had realised Cummings had taken the Elliott pledge and joined the payroll, I wouldn't have bothered leaving the comment on his blog. This explains why Cummings, who rarely passes up an opportunity to give people the benefit of his wisdom, silenced himself. It stands to reason. 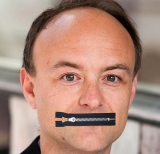 He didn't want an upstart blogger genuinely committed to Brexit pointing out inconvenient truths about the contradictory position and financial interests of his friend and colleague Matt... particularly if that might make people aware of the things that could lead them to question whether supporting Elliott's new venture actually helps us towards Brexit in any way, or represents value for taxpayer and donor money. On his blog yesterday, Dominic Cummings of the Business for Britain campaign, posted a piece about the latest bulletin issued by BfB. In response to his piece I have left the following comment (awaiting moderation at the time of writing), which makes some important points that anyone interested in Brexit should know. Hopefully Dominic will allow the comment through moderation and reply to it in due course. UPDATE - My comment is no longer pending on Dominic Cummings' blog and seems to have been moderated out. I'm sure readers will draw their own conclusions. Mr Cummings, Business for Britain has only ever been interested in talking about what some business people want. It has never articulated anything concerning the interests of ordinary people or democratic principle being served by leaving the EU. In fact, on that point, Business or Britain has never declared any intention of pushing for the UK to leave the EU. It has never advanced a single positive argument for leaving, save the commercial interests of a group of business people. The BfB position has always been to push for membership of a reformed EU. That remains the position on the BfB website. Are we to believe some kind of Damascene conversion is taking place? The bulletin you seemingly endorse says, following the Five Presidents report, that EU plans, 'will leave Britain as a permanent second-class member state, subject to EU law but condemned to be constantly outvoted in the EU’s institutions.' This neatly describes a two-tier Europe. How is it that BfB claim to be opposed to this when its Chief Executive, Matthew Elliott, actively seeks just such a settlement, as made clear in his quote below? So when you talk of scaling up the campaign 'to hundreds of staff and thousands of volunteers' what exactly are these people going to be campaigning for? BfB and its team has offered nothing to people who want to leave the EU as a matter of democratic principle and there is nothing in your post that changes that. 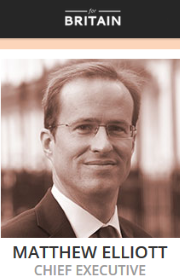 There is no rational reason for ordinary people to buy into anything Matthew Elliott is selling. As for the cutting-edge technology required to support whatever campaign Matthew Elliott wants to run, are we to assume this will be sourced from the companies that Mr Elliott and his tight-knit friends Paul Staines, Jag Singh and Andrew Whitehurst set up for just such as campaign as this, with the potential for them all to benefit through ownership and/or consulting fees? In it for the money, not for the cause? The battle lines have been well and truly drawn between two of the groups vying to become the official Leave the EU campaign, thus attracting significant sums of public money with which to fight the referendum. In the blue corner is 'For Britain'. Its figurehead is Matthew Elliott and it is financed by a group of business leaders and supported by 'Eurosceptic' Tories including a number of MPs. Nearly all its activity has been under the guise of Business for Britain, pushing commercial interests. In the red corner is 'Leave.EU'. Set up and financed by Arron Banks, this group is presenting itself as the non-Westminster bubble campaign and is attracting Ukip support. Previously it was called The Know.EU until the referendum question made 'leave' the Brexit option. As business leaders and entrepreneurs responsible for millions of British jobs, we believe that the Government is right to seek a new deal for the EU and for the UK’s role in Europe. We believe that, far from being a threat to our economic interests, a flexible, competitive Europe, with more powers devolved from Brussels, is essential for growth, jobs and access to markets. We therefore urge all political parties to join in committing themselves to a national drive to renegotiate the terms of Britain’s membership of the EU. If the Government gets a two-tier Europe, we’re very much in. What has been obvious to a number of long standing Brexit campaigners is increasingly becoming clear to others who have got involved rather more recently. Namely that Elliott wants to get official campaign status in order to promote and benefit himself. For along with the huge public profile of leading the official campaign comes the power to control the spending and destination of the large bundle of public money that comes with it. It would be easy to dismiss Banks' observations as a ploy to undermine a rival for official campaign status. But it isn't so easy when possible evidence emerges of what detractors might consider to be a lucrative business plan that may conceivably have been hatched by Elliott and a small circle of money-hungry friends. 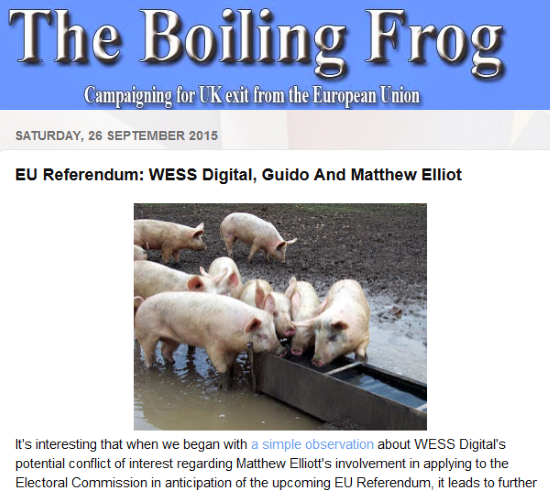 This plan, pieces of which have been assembled in outstanding fashion by The Boiling Frog, could be perceived by those detractors as an attempt to benefit from Elliott's vehicle securing official campaign status and control of a lot of public money, which would be followed by substantial private funds. As this network of companies stands, currently owned directly by close friends and companies based offshore (Hong Kong), there would appear little to stop money being earmarked to buy digital and other services, to the benefit of Mr Elliott and his friends. All the strands interconnect at some point with Business for Britain and campaigntoleave.com. The lack of income of these companies opens their directors to the charge that they might conceivably have formed them for the purpose of using the referendum campaign as a cash cow. Such charges, even if proved false, could be damaging to the claims that Business for Britain should lead the Brexit campaign. While there are a number of Tory useful idiots who refuse to utter the words 'Associate Membership', and demand 'evidence' that such a thing is planned (see the recent Twitter exchange between him and Richard North), the colleagues on the continent are clearly working in plain sight to bring such a status into being. Mr Macron said it is not beyond the wit of man to craft a “win-win deal” that addresses Britain’s worries about the status of the non-euro members, increasingly untenable as the core countries press ahead with ever closer integration. Mr Macron said changes to the UK’s membership terms could be lumped together with euro reform in a broader EU accord, giving Mr Cameron the coveted imprimatur of full treaty change. “The first step is for the British government to clarify its requirements. The question is: ‘What exactly do you want?’” he said. This is the clearest signal yet of the nature of the discussions behind the scenes and preparation for the formal creation of an Associate Membership status. In politics of this nature there will already have been tacit agreement of the destination. Only the 'i's need to be dotted and the 't's crossed. These refining decisions will be joined with the usual dramatics for media consumption, to give the impression of tough arguments, spats, fall outs, marathon late night talks, leaks that everything is about to disintegrate without a deal, then finally the issue of a pre-written communique declaring a successful deal that is the latest triumph of the EU. The end result looks ever more like being a full treaty change that provides for deeper financial integration of the Eurozone countries, the core European Union, and 'Associate Membership' for the rest, including Britain. This looks to be what Cameron will declare to be his hard won concessions that justify remaining in the EU, even though it will still leave Britain subordinate to the EU. The Associate Member status will not be an opt out zone, but a status for countries who are on track of varying speeds heading towards joining the Euro and the deeper integration pathway. Unless the British electorate votes to leave the EU, that would mean just one thing in the future. 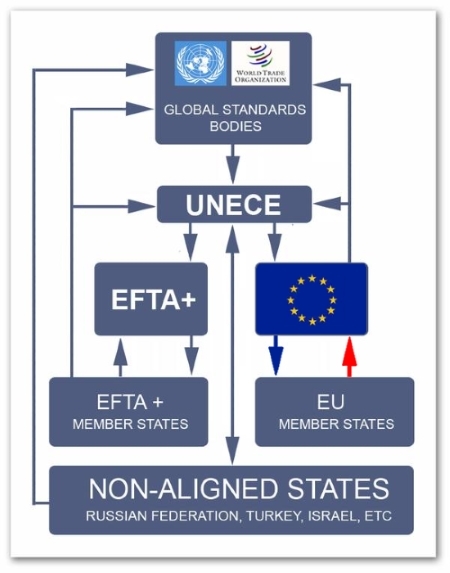 The graphic below shows the EU's place in the global hierarchy of decision making, regulation and standards setting. We keep hearing politicians speak of the UK having more influence because it is part of the EU. The graphic shows, by way of the red arrow, that this is a lie. The UK is only permitted to speak to the EU. The UK is not allowed to speak at the global level because the EU speaks for us. The UK doesn't sit on the global decision making bodies that hand down orders to the EU, significantly undermining our influence. However the EFTA member countries such as Norway and Switzerland do sit at the global top table because they are independent. They help form the rules that the EU member states (including the UK) have to obey. British influence over decisions, regulations and standards is significantly reduced as a result. As a mere member state the UK is limited to pleading with the EU to take on board our views and interests. But our views and interests are then diluted with those of 27 others to form a compromise that really does little for any member state. Outside the EU, as an independent country, the UK would have significantly more influence in the world than it does today. This is another positive reason for the British people to vote to leave the EU. 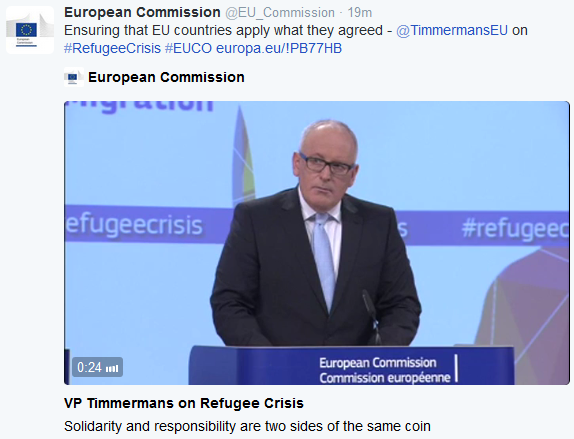 Remember how we keep being told EU member states are sovereign? In this example, solidarity means coming under the same central control, responsibility means doing as you're told even if its not in your national interest. The refugee and migration crisis is one of those things the pro EU side describe as a 'beneficial crisis'. it gives the EU a chance to exert its control and argue that the solution requires more centralisation of political control and decision making in Brussels. Seizing on the opportunity being presented, the EU in the shape of the European Commission is flexing its muscles by adopting 40 infringement decisions 'to make European Asylum System work'. The UK is exempt from the provisions in this area, for now. 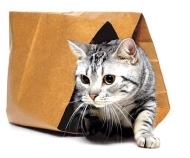 But we are bound by provisions on most other matters. A referendum vote to Remain in the EU will lead to huge pressure for the UK to fall into line and give up its opt outs, to ensure Brussels has full control over political decision making in Britain. The only way to ensure self determination in the UK is to vote to leave the EU. Consider this. The European hierarchy might seek to pursue a course that runs contrary to British interests. But if we are in the minority, the decision taken becomes binding. This is a consequence of supranational governance. The only way the UK's interests can be preserved is to negotiate agreements and co-operate on an intergovernmental basis. That requires us to leave the EU. 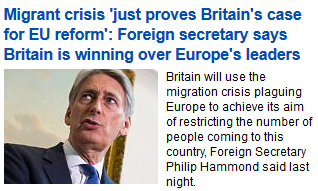 The Daily Mail has an article in which the pisspoor Foreign Secretary, Philip Hammond, jabbers that the refugee crisis hitting European countries proves the case for EU reform. Hammond is specifically focusing on reform of free movement in order to restrict the number of people coming to this country from the rest of the EU. But his claim is clearly a sham because the government has done nothing to reduce the flow of immigrants from non EU countries who are not covered by freedom of movement, and who make up the majority of immigrants to the UK. The government has not made any effort to control immigration. He said it would be easier to sell Britain’s ideas on migration – the ‘most sensitive’ area of its proposed reform package. This is interesting because we have no certainty what this supposed reform package contains. British voters haven't been asked what they want to change. British voters haven't been asked to ratify what David Cameron claims to be putting to other EU leaders. This supposed renegotiation is one man's personal wishlist that he claims to be the wishes of the country. The only people he is consulting on his supposed renegotiation and the Remain campaign are committed pro EU enthusiasts, such as Mats Persson at Open Europe. You can't get more meglomaniac than that. We cannot trust a man whose set position is to remain in the EU come what may. However, no one in the media is putting tough questions about these matters to Cameron. Instead they are more determined to ham up the contents of Michael Ashcroft's book. The electorate are being taken for fools. 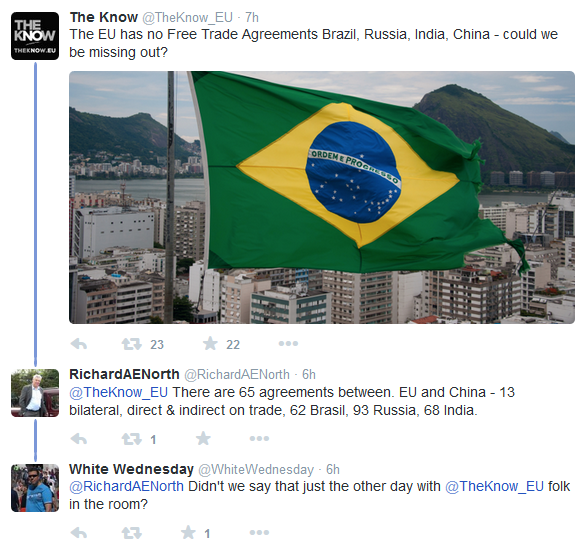 Will TheKnow.EU up its game? Back on 12 August TheKnow.EU published an infographic on their website asking how else the UK's £1.7 billion top up payment to the EU could have been used. However there wasn't ever a £1.7 billion top up.The actual amount was just over £850 million, to be paid in two installments. This is because the UK's famous rebate always applied to the headline figure. No more than the £850m was ever payable because of the rebate. However, MPs on the new Treasury select committee report has found that Mr Osborne’s claim was “not supported by the facts”, and the Treasury should have known “well in advance” of the November 7 meeting that the demand would automatically be cut in half by Britain’s regular EU rebate, negotiated by former Prime Minister Margaret Thatcher in 1984. The terms of the UK's rebate calculation are set out in EU law. It should, therefore, have been clear that the rebate would apply. The Government got a good deal for the UK by securing an interest-free delay to the EU bill. But by overstating its success on the rebate, it distracted attention from this achievement. With this information in the public domain there is no excuse for TheKnow to be publishing inaccurate information five months later. Things like this when purporting to be dealing in facts undermines confidence and trust in what the campaign is saying. People will not 'be in the know' if they are fed false claims. All this came to mind because of an article in the Daily Mail today, which reports the European Commission's confirmation that the £850m due has been paid in full by the British government. The Mail has lifted the story from Breitbart, which itself still refers to mythical £1.7 billion figure, with Breitbart having lifted the story from Bloomberg. The most powerful argument that 'Leave' campaigners can take from the whole episode is that membership of the EU has required us to pay so much money with nothing extra in return. It's not so much the size of the payment as the principle behind it. Staying in the EU maintains these liabilities, paying handsomely for the privilege of having our voice removed, influence diluted and ability to represent ourselves on the world stage removed. Leaving the EU will enable us to restore these things. There doesn't seem to be any attempt to ensure the accuracy of the statements being issued by TheKnow. Unless they want to damage the prospects of the Leave campaign they are going to have to make an effort to fact check and verify the claims they make. The question is, will they do so? For the sake of the Leave campaign we can only hope so. No I don't see that position. Two thoughts immediately spring to mind here. The first one is thank God for that. It's bad enough having the Leave campaign tainted by support from racists, conspiracy theorists and xenophobes without having to be associated with the incompetence and political illiteracy of the Corbynistas. The second thought is that it requires an amazing capacity for ignorance and stupidity on Corbyn's part to claim, that under every possible circumstance, the UK is always best served by EU membership. It tells everyone that in Corbyn's mind the interests of the UK will always be subordinate to furthering the goals of the EU. In that, Corbyn is no different to the majority of politicians in this country, who put EU wishes before what is best for the UK. 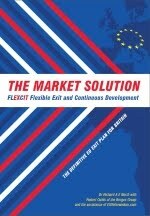 EU membership is the lazy option. The difficult and boring business of government is outsourced so politicians can indulge their desire of playing to the gallery and talking endlessly while having to deliver nothing. The problem is that to enable this convenience for the politicians, Britain's place in the world has had to be purposely diminished. Britain has been downgraded by its EU membership. There are many more examples like this. But the essential point here is that no one elected by British voters can change any of this while the UK remains in the EU, no matter how harmful or expensive this is for ordinary British people. Our politicians are powerless to change things in the interests of their electors. How can anyone like Corbyn claim to be a man of the people, yet hold a position that consigns the people to put up with anything and everything the EU decides, no matter how damaging of painful that may be? Are they supreme hypocrites or merely the great unthinking? Today there's an opinion piece in EurActiv by a left wing German MP called Joachim Poß. 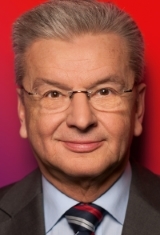 He is pushing for a debate about a report co-written by the President of the European Commission, the President of the European Parliament, the President of the European Council, the President of the Eurogroup and the President of the European Central Bank (all these Presidents and not one of them elected by voters). Imaginatively titled 'The Five Presidents' Report', it aims to set out how to complete the monetary union of the Eurozone countries. While the UK media is focused on the migrant crisis, perceived splits in the Conservative party over the rules for the referendum, and whether Jeremy Corbyn wants in or out of the EU, the politicians are focused on what they consider to be the bigger and more long term issues, such as economic and monetary union. 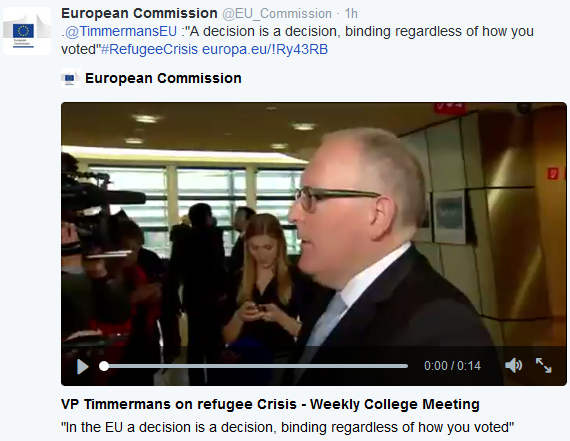 The European Commission itself describes it as a Commission Priority. This is the focus that is leading towards the formal creation of EU Associate Member status. There are 28 EU member states. But there are nine member states who are either exempt from joining the Euro (UK and Denmark, although Denmark has started the process and is experiencing economic problems as a result), don't meet the conditions for joining (Bulgaria, Croatia, Czech Republic, Hungary, Poland, Romania), or are avoiding meeting the criteria for joining (Sweden). That bloc of nine has held back the Eurozone countries and that is why the idea of having Associate Membership of the EU is being developed. It keeps them in the EU fold while the other states press ahead towards ever greater EU governance. The Associate Members would be in a waiting room until they are ready and able to give up economic control and commit to ever closer political and economic union. A Treaty will be needed to make this happen and there won't be space in it for the UK getting David Cameron's mythical secret wish list of powers returned. So it looks ever more likely that Cameron will seize Associate Membership and claim victory for not accepting deeper integration. is not only vulnerable to economic crises and populist slogans from the left and right. It also lacks democratic legitimation. Populism isn't always bad. It's about being concerned with or trying to represent the views of ordinary people. The EU isn't interested in what ordinary people want. Its mandarins believe themselves to be above the people, to know what is best for them, and seek to govern without any reference to the people or democratic mandate from them. That isn't a political union the UK should be part of. It's also typical pro EU doublespeak for Poß to argue that further centralising control by moving it further away from democratic accountability would give the EU more democratic legitimacy. Countries that do not control their currency do not control their economy. No one in those countries can vote to change their economic approach and their elected politicians will not have control over their economy. Staying in the EU will increase pressure to accept its control wholesale, which is a huge reason for voting to leave the EU at the earliest opportunity. One of the prominent groups campaigning for Brexit is TheKnow.EU run by Arron Banks. They've relaunched their website following the Yes/No question being changed to a Remain/Leave one. Sadly for them they are still pushing a 'No' line even though it won't be on the referendum ballot paper. But pushing a choice that won't be on the ballot paper is the least of their problems. It's going to be hard for voters to take them seriously when they make assertions that aren't strictly true. 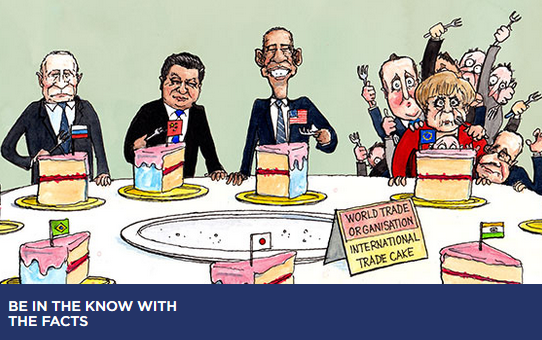 On their new website TheKnow invites readers to 'Be in The Know'. Readers won't be if they take take TheKnow's claims at face value. Perhaps TheKnow should start with themselves before trying to educate people from a position of ignorance. They're shooting themselves in the foot and hurting the Leave side at the same time. Sometime in the next two years we are going to have a referendum about whether the UK will remain in or leave the EU. There's a number of positive reasons for the UK to leave the EU which need to be shared widely and I hope this blog will help to do that. I'll also blog about the arguments being made by those who want to remain in the EU and counter any misleading or inaccurate claims they make. I hope you'll come back regularly.